For a new bride, any and every occasion such as muh dikhaais, birthday parties, family dinners, are nothing short of a festival, at least in the first year. So, needless to say, she needs to have an ample supply of heavy suits, sarees, designer jewellery, and what not to look the part. Sounds like a lot of work right? But it’s actually quite easy to keep up with the latest trends. And it’s not like these expensive clothes and jewellery serve just a one-time purpose. They’re, in fact, a one-time investment that can take you from such everyday events to special ones effortlessly. So, with Diwali just around the corner and the wedding season in the offing, it is time to put your best stuff to use. 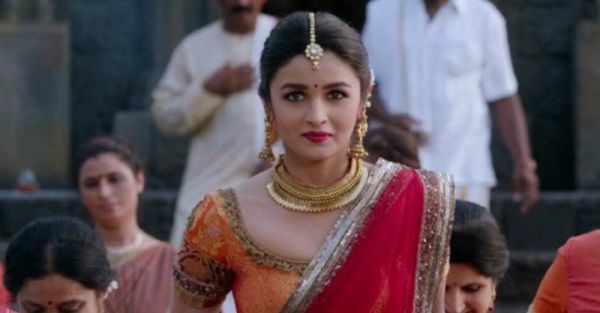 Speaking of which, here is the ultimate guide to Diwali dressing with 50 fabulous outfits to choose from that will make you look like a million bucks without spending a million bucks. Trust me, you won’t need to think twice before investing in these. As for jewellery, we’ve got you covered. We have curated a list of 50 Indian jewellery pieces with the latest Indian jewellery designs to go with your outfits. From earrings and necklaces to bangles and mangalsutras, there’s plenty for everyone, and they serve all budgets. Clear some space in your trousseau for these super trendy, affordable, and one-of-a-kind jewellery pieces. 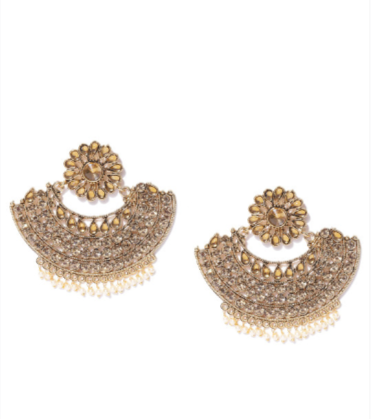 This Diwali, personify your love for Kaju ki barfi with these gold-plated earrings. Whether it is a traditional saree that you're wearing or a fusion outfit, these will perfectly complement your ethnic wear and western wear. 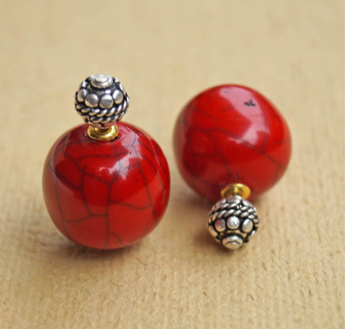 Want a break from the traditional round jhumkas this season? 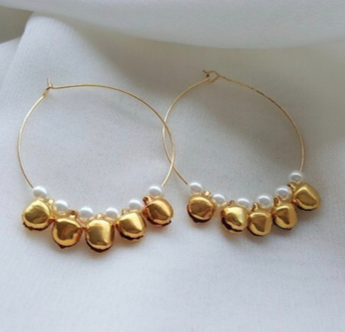 Try these filigree gold-plated drop earrings with grapevine-like pearls hanging off the edge. The metal cutwork on it is to-die-for. Pair it with a kurta and make it look anything but basic. 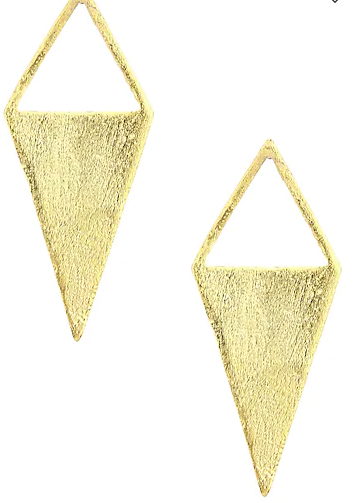 Add these gold-plated earrings to your jewellery box stat! They will look beautiful when paired with an Indo-western outfit, especially if you’re going for the minimalist look this Diwali. 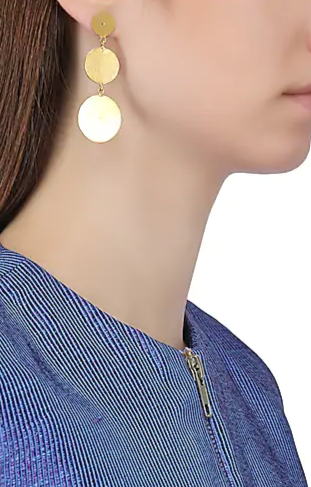 These contemporary gold-toned drop earrings can be teamed with anything starting with a white shirt and an ethnic skirt combo to a full-blown lehenga giving you that edgy look you have always desired. Instantly add a splash of chic to your ensemble with these babies. This gorgeous pair of crescent-shaped chandbalis will look great with any salwar suit you pick this festive season. With artificial stones and beads studded in it, these babies ain't going out of style anytime soon. These enamel enabled silver-toned earrings are perfect for the millennial girl who is all about style. Accessorise your whites with these drop earrings and add a dash a color to your OOTD and life. 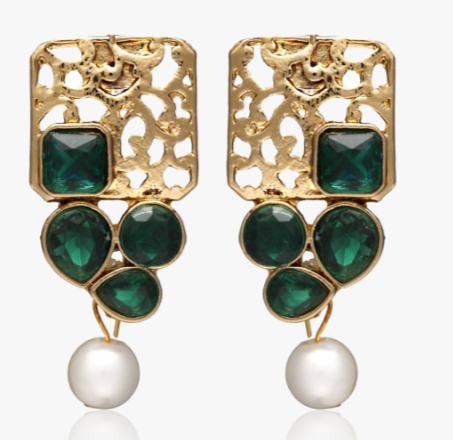 With a rustic gold-tone, deep green gemstones and a pretty pearl completing the set, this pair of drop danglers will look great with your green and/or white outfits. And it this price, they are a freaking steal. For those who like to keep it subtle and sweet, these beaded drop earrings sound like a real deal. 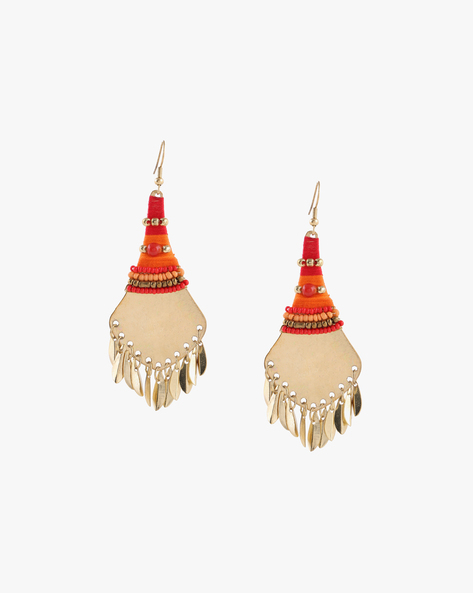 You can’t find a lighter pair of Indian earrings that is as stylish as these. 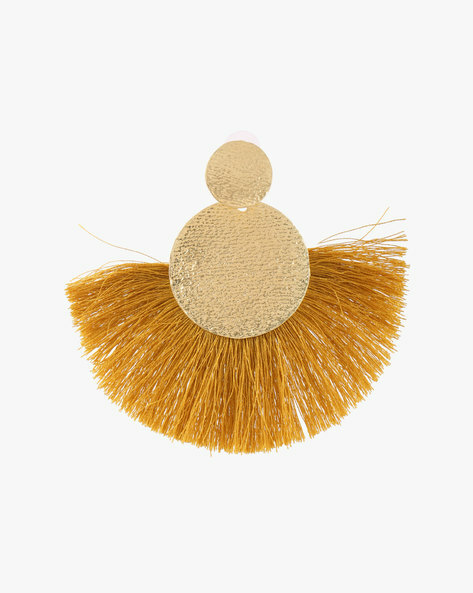 How pretty is this pair of mustard tassels! Style it with traditional kurtas or kurti, tie your hair up into a messy bun and let the tassels do the talking. What a brilliant mix of orange, gold and glam. 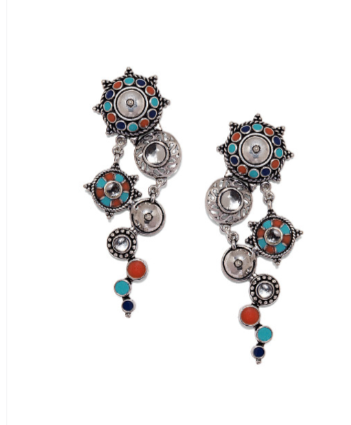 These beaded metal danglers with colourful thread work are one of our favourite picks this festive season. Style these with a saree and we promise you won’t feel sorry. This gorgeous combination of rani pink and gold in these stunning tasseled hoops is winning our heart for all the right reasons. Pair it with a heavy solid white kurta set , after all, pink and white make a great combination. 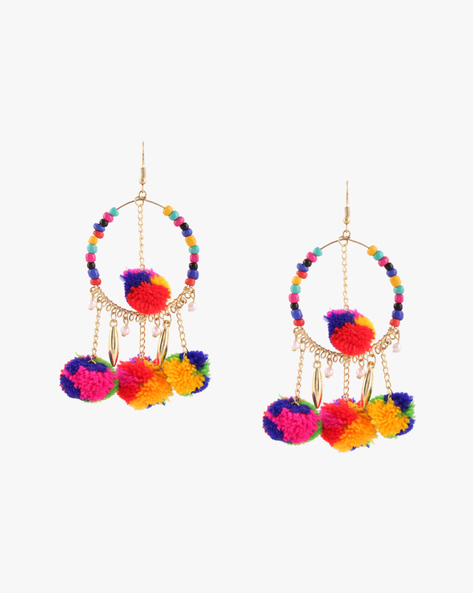 Let you mood reflect in your outfit this Diwali with these colourful Pom-poms earrings. They are fun to wear and easy to pair with pretty much everything. Make a unique statement by pairing these earrings with a solid cotton saree. Paisley is one of my favourite prints on Indian wear. If you are just like me, these paisley cutwork studds are a must-have. So intricate and neat! For a simple and sophisticated look, these are the way to go. Who would have thought that a combination of pearl and coins would look so beautiful?! This goes straight to our cart if you are a lover of one of a kind fashion. 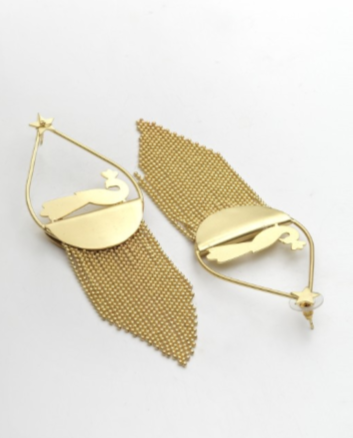 Speaking of one of a kind fashion, these ear cuffs are a little dramatic and a lot of fun. 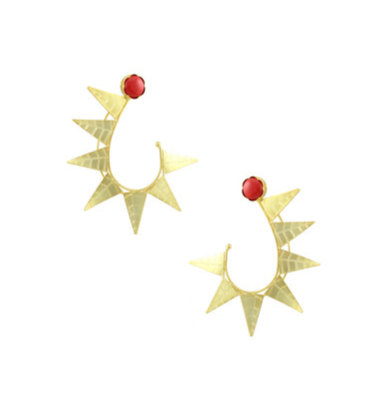 Go for these gold and red beautifully designed ear cuffs if you don’t mind some OTT in your OOTD. This set of Indian hoops makes it to our list because never had I ever imagined wearing ghungroos in my ear, let alone ghungroos with pearls. Stylish enough to make heads turn, simple enough to feel easy on the ears. Fabrics earrings are the new fab and we are all for it! 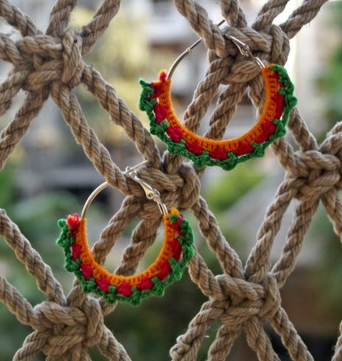 This quirky pair of crochet-knit hoop earrings will turn the Indian wear game around. You will never have a dull day again. 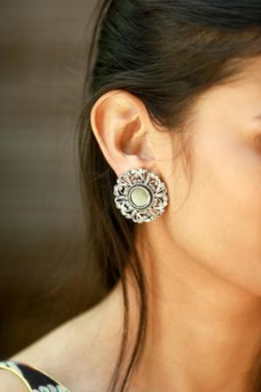 We love this intricately done silver-plated earrings all the more because of the gorgeous round mirror work in the middle. Did you know? Silver jewellery and pristine white outfits are a match made in heaven. What’s better than a cherry to complete the dessert? Two cherries! These sweet little cherry-like stone studs will look awesome and complete your outfit beautifully. When gold and silver combine to form one winner set of earrings, you buy those earrings without a second thought. 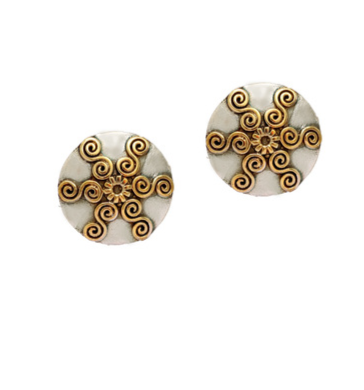 Since these studs have both the metals in it, you can pair these with literally anything this Diwali. Add a feminine and stylish twist to your look with this pretty necklace. Make any outfit look instantly edgy and rest assured to grab all the eyeballs at the Diwali party this year. This gold metal choker is giving us classy and sassy vibes all at once. Add oodles of charm to your look by pairing it with a round-neck or off-shoulder blouse. I’m a big sucker for oxidised silver jewellery. Not only is it pocket-friendly but makes a statement effortlessly. 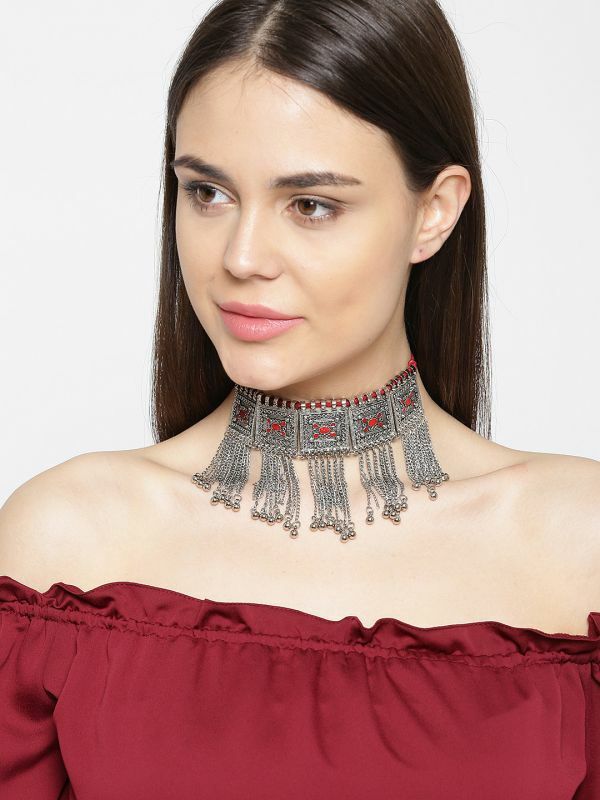 If you are anything like me, place an order for this red textured choker necklace stat and add grace to your look in a jiffy. With its chunky chain style, this statement necklace has all the festive feels that you need right there. If you are planning to wear a solid blouse or kurta, this would make for a nice accessory to get your Diwali ready. We all have that fashion accessory online that if we don’t buy, haunts us in our dreams. This gold-toned layered necklace is it. Wear all the charms of the world right in your neck and make your coordinate set look brighter than ever. 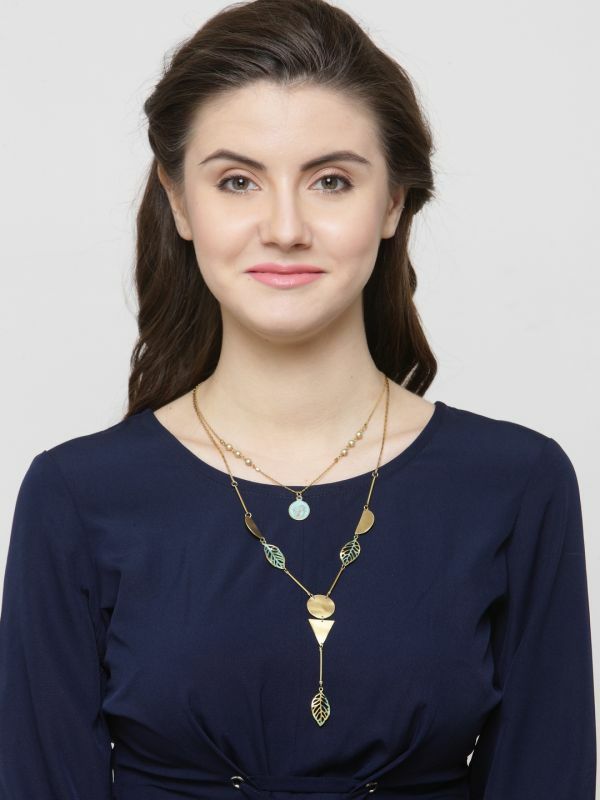 This uniquely shaped sea green necklace is sure to make you look top-notch with all your outfits. Make a bold statement where you go and we are sure you will light up the sky with your style. 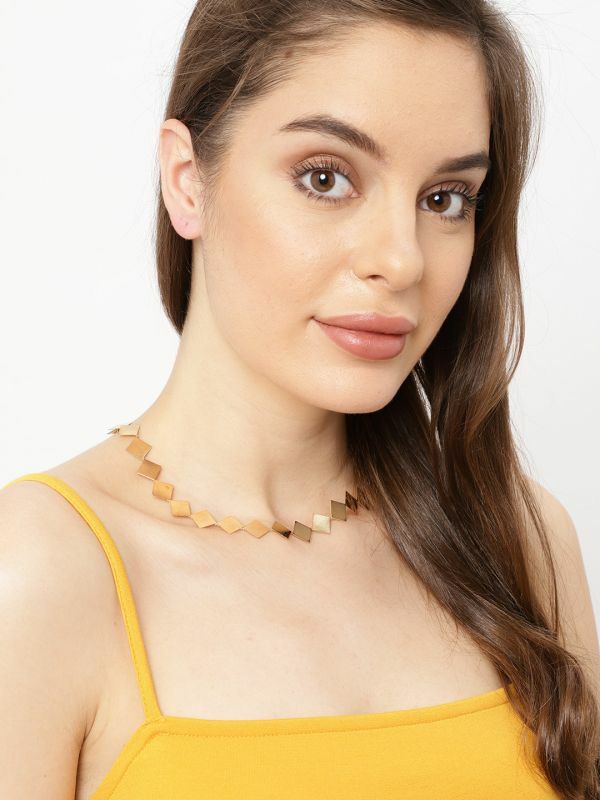 How uniquely original is this gold-toned shell necklace with pearl studs inside? This statement piece of jewellery stand out with whatever outfit you pick this festive season. You must have seen such stick necklaces in multiple colours while street shopping. Get your hands in this branded gold-toned necklace at the same street prices and make styling your off-shoulder blouses off-the-hook. If you are someone for whom simple is sensible, then we have found the perfect and the prettiest necklace for you. With an elegant chain and four pristine white pearls, this necklace will take care of your high-necklines, whether on Indian or western wear, forever. 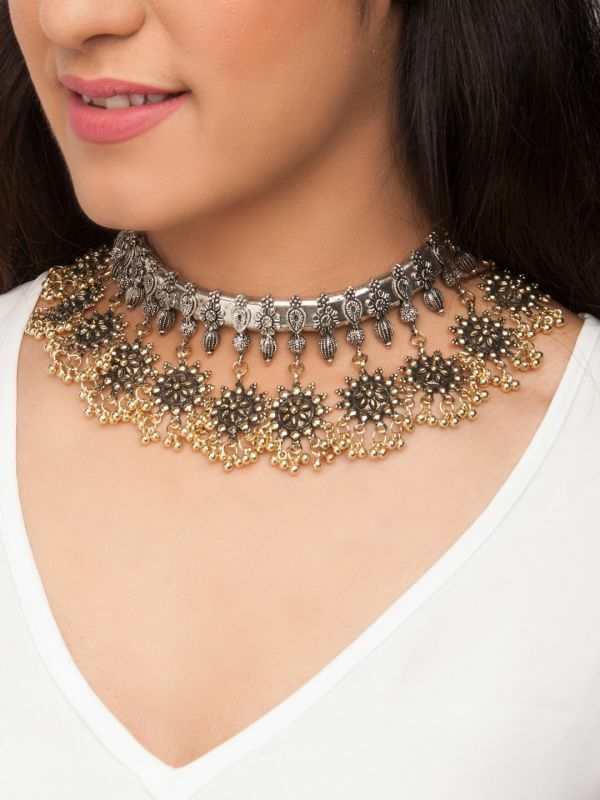 Glam up this festive season with this amazing looking multilayered chain necklace. Thanks to the versatile gold-tone, your outfit is going to be the highlight this Diwali. In case you still haven’t gotten the blouse of your dreams stitched, here are 130 blouse designs to inspire your masterji. Also, here’s the ultimate guide to find the right necklace for your neckline. Don’t just wear the accessories, own them. This gorgeous nath will serve you best if you are looking for something simple and not too drab. Plus, it is gold plated so you don’t have to worry about looking underwhelming. This beautiful gold-toned nose ring is not only studded with elegant stones but also with style. The teardrop shape of the stones is perfect for those who prefer a dash of contemporary in their traditional wear. 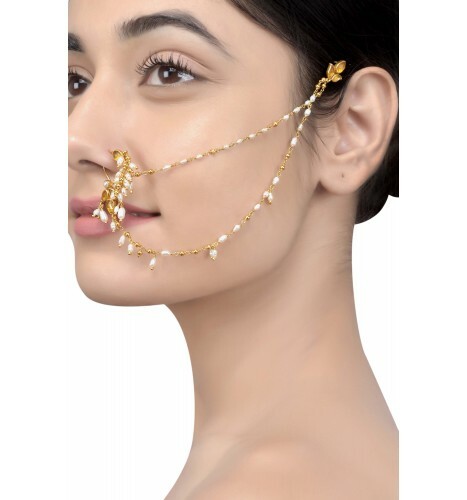 Intricately designed in a single pearl string anchored with kundan, red stones and baby pearls, this nose ring will go well with a heavily embroidered anarkali suit or lehenga. Embellished with kundan and pearls, this 22k gold plated Mughal nath is handcrafted to perfection for a bride like yourself. And the floral motifs only add to the beauty of its design making the Mughal vibes feel oh-so-real. Wearing a nath for the first time? This one’s for you. 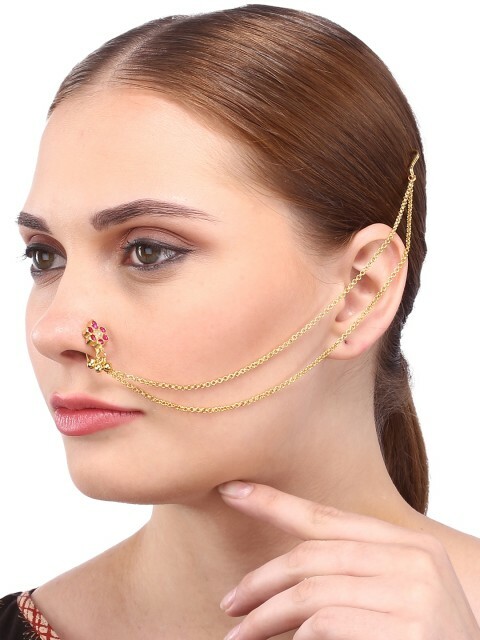 Make an impression every time you attend a family gathering with this lovely nose ring. Wear it with any ethnic attire to add grace to your look. Like we said before, a white and gold combination can never go wrong. This beautifully crafted gold toned nose ring embellished with white stones is as lightweight as it is lovely and would look great with saree. This gold-plated nath comes with a crystal-studded detailing straight from the house of Rahul Popli, the popular jewellery designer. Even the chain is beaded with baby pearls adding to its elegance. This nose ring is one of our favourites on the list. It features a big gold-plated ring studded flower motifs, baby pearl drops and a kundan link chain string giving it such a princessy vibe. And, boy, will you feel like one. Have you seen a design so intricate yet simple? We think not. We are a fan of its dainty pearl design and think that it makes for quite a superb statement accessory. No, naths don’t always have to be gold toned. A pop of colour doesn’t harm anyone, right? 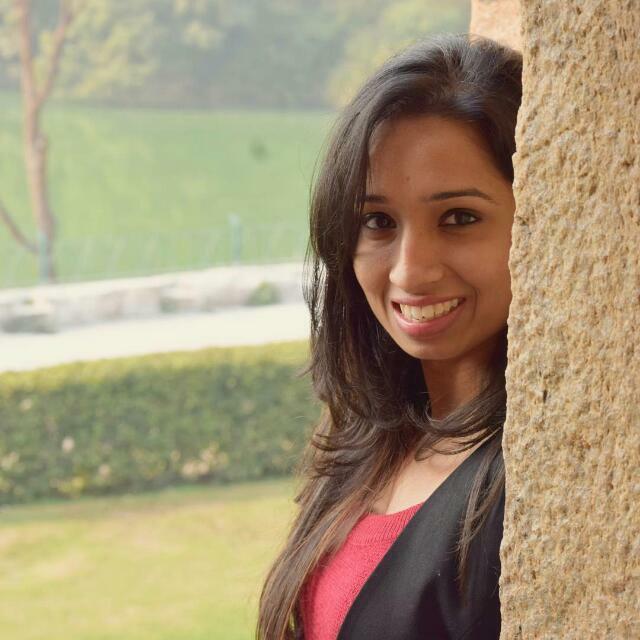 It will go so well with a muted lehenga or even a multicolour saree! Your whole idea of dressing up goes for a toss if you don’t add that extra little oomph to it. And this gorgeous multi-coloured beaded bracelet will do just that. Looking for something sleek and not too fussy or dramatic? Go fo this gold-toned bracelet with a moonstone and glittering cubic zircon. 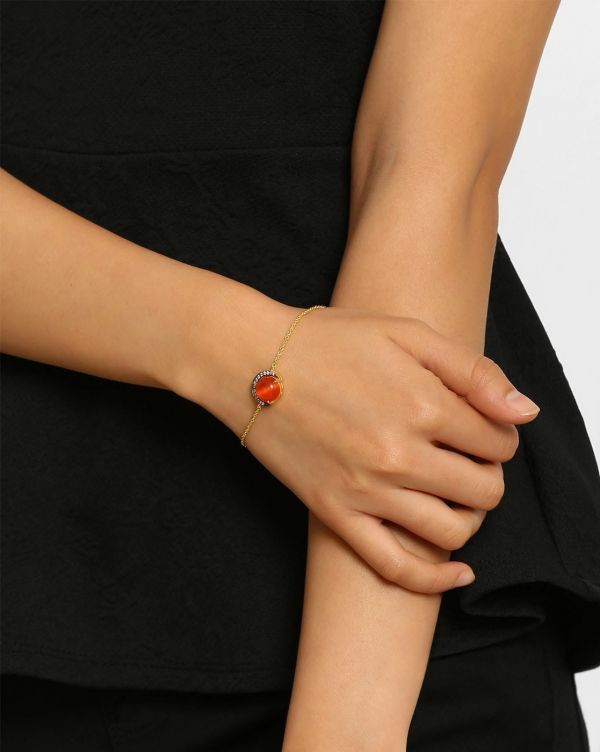 They add a hint of sparkle to this dainty bracelet effortlessly. Brass jewellery is always a hit. It is a bonus that the alloy is lightweight in nature too. This vintage tribal ethnic brass bangle is perfect for daily or occasion wear. So grab one and get out of the dilemma of what to pick. A beautiful mix of floral embellishments, ikkat design and hand embroidered zardosi comes together in these bright set of bangles making your festive season better than ever. This bangle is so sophisticated that you can even wear it to work and to a special occasion. This Swarovski bangle is elegant enough to do the talking for you all by itself. 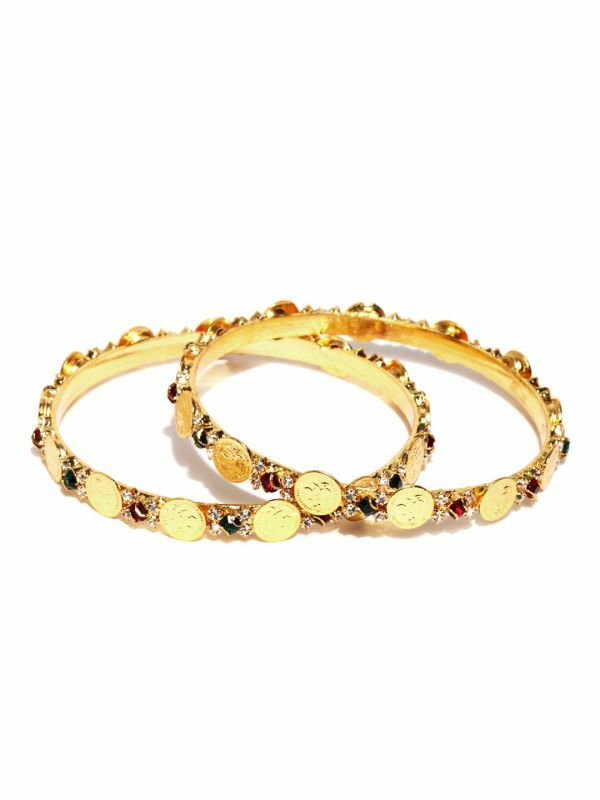 This set of two maroon and green gold-plated bangles is a great pick to accessorize your festive look and good to go with all your festive ensembles. 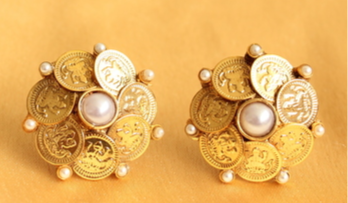 The coin embellishments on it are one of a kind. These traditional round bangles are our go-to bangles for any occasion and with Diwali just around the corner, there is no better occasion to debut them. Grab a pair and team it up with your festive wear without any second thought. If you fancy pearls as much as we do, then get your hands on this gorgeous pair of gold toned pearl bangles. 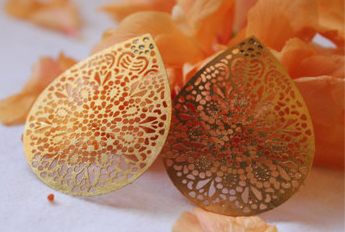 These would look great with a silk saree. When all else fails, silver will always have your back. Make a unique style statement with these intricately designed bangles that will effortlessly enhance your ethnic ensemble. Team them with a traditional saree and embellished sandals for maximum effect. 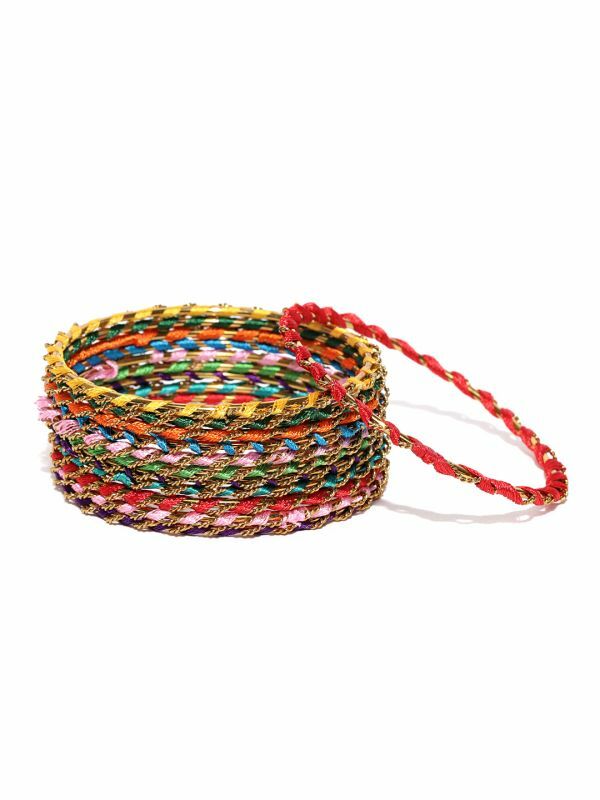 A true lover of colours can NOT have these multicoloured bangles in her collection. Regardless to say, these babies will go best with your whites adding the right amount of life to your day and OOTD.